This case study is to timeline the way Contrib built MusicChannel. Before Contrib, MusicChannel was on PPC along with other domains on its vertical. It has a measly traffic and should have been earning cents a day. Contrib created and grouped a team necessary to build and launch MusicChannel. They then decided to create a music platform that allows musicians and artists to compete socially. The MusicChannel Songwriting Competition is born with a mission is to provide the opportunity for both aspiring and establishing songwriters and musicians to have their songs heard in a professional, local and international arena. MusicChannel is designed to nurture the musical talent of songwriters and musicians on all levels and promote excellency. 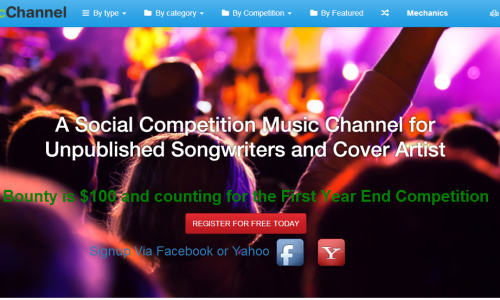 Amateur and unsigned songwriters and musicians are invited to participate. MusicChannel has the most prestigious panel of judges of all the songwriting and music contests in the world, YOU, the social community, offering exposure and the opportunity to have songs and covers heard by the most influential decision-makers in the music industry. The technical challenges that awaits musicchannel is the unpopularity of paying to win so they decided to take the free option first and let the people win without prizes, just recognition. With only two months, they have been on top of the se's on major keywords and have amassed $50 to 70 advertising/adsense revenues. Getting artists to join the cause is a little bit difficult on the onset. But once a few joins, this ball will continue to roll. Going the free route is almost always inevitable but when we have the amount of traffic plus the amount of audience. .
Photostream was registered with eCorp way back 2003 and back then, PPC was the GOD of domain monetization. Photostream was earning at the least $2 to 5 a day. Then Contrib came in 2014 and placed it on a simple framework that allowed Contrib to create a small community of Contributors, a small army of 9503 and Contrib with its Contribution iPartner programme found a couple of people who's sole objective is to get PhotoStream to an arena with Flickr. 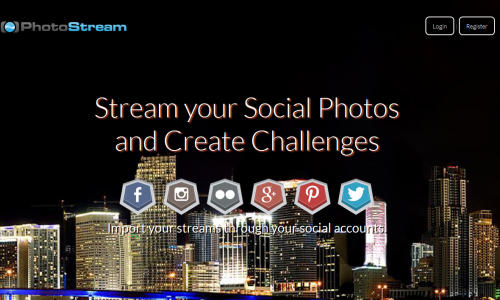 They decided to create a free photo aggregator and photo marketplace. These team of diverse people from Madagascar to the Philippines, believed that it is high time to create a free photo aggregator community on top of a premium photo stock marketplace where streamers could stream photos and get ad sharing revenues. There were setup challenges and contributions were not recorded. Contrib is still in its infancy and we recognize that not all teams could be molded by getting them to use one task manager so the Photostream people used Github and Assembly largely for code push and code contributions. Apis for the major social sites has to be monitored monthly as they tend to change easily within the year. Hitching on the free bandwagon, the model was to be able to give users a free way to gather and organize they're photos from different social sites while the business model was ads, and shared ads, where top streamers are allowed to place they're own ads by going premium. Contrib Blog © 2019. All Rights Reserved.